As I wrote last spring, we can efficiently test treatments for aging once we have an objective measure for the rate of aging. Without it, we’re left with the standard epidemiological: treating thousands of people and waiting for a few of them to die. I have predicted that methylation-based aging clocks will turn a page in the history of epidemiology. Six years ago, UCLA biostatistician Steve Horvath realized the potential value of an aging clock and set out to measure human age using methylation markers in DNA from across the body. He used statistical pattern-recognition software to look for relationships between a person’s age and the methylation state of his DNA. Methylation is the best-studied of the epigenetic markers that control which genes are turned on and off, and different sets of genes are active at different stages of life. Age is an important predictor because the diseases that kill most of us all occur in a highly age-dependent way. In fact, the risks for cancer, heart disease, and Alzheimer’s disease all rise exponentially with age. One statistical result from the original Horvath clock has a profound implication which aging researchers have been slow to take to heart: The Horvath clock was derived with statistical methods that looked only at chronological age. The algorithm was optimized to produce the best estimate of a person’s calendar age. Of course, age by the calendar is a good predictor of a person’s risk of death. In Americans over 40, the probability of death doubles every 8 years. We should expect that since the Horvath clock is well-correlated to age and age is well-correlated to mortality, the Horvath clock should be correlated to mortality. (This isn’t guaranteed mathematically except when the two separate correlations are strong.) The interesting twist is this: The Horvath clock is more tightly correlated with mortality than age itself. The clock algorithm was derived from chronological age, so the math knows only about calendar years. But the clock algorithm predicts mortality better than age itself. We can conclude that this extra accuracy of the methylation clock derives not from math but from biology. The message is that methylation is linked to the biological process of aging. Methylation changes don’t just happen over time; they are coupled to whatever it is that causes the risk of death to rise, linked, in other words, to aging itself. With more recent developments in the clock, this conclusion gets stronger, and also stranger. Yan Zhang of the German National Cancer Inst in Heidelberg has developed a methylation-based computation of mortality risk which is based on historic samples of blood from 406 people who died over a 15-year period and from 1,000 demographically-matched control. None (count ’em–zero!) of the 58 were incorporated in any of the previously published aging clocks (by Horvath and Hannum). What do we make of this? Age is associated with mortality more closely than any other biological indicator, and in fact mortality risk rises exponentially with age. And yet Zhang et al set out to look for methylation sites most closely associated with mortality risk, Horvath et al set out to look for methylation sites most closely associated with chronological age, and there was zero overlap between the sites they identified! In fact, less than half the sites they identified (23/58) had statistically significant correlations with age at all. Zhang’s mortality risk estimator is a count of how many of the 10 most telling methylation sites are in the “worst” quartile of his test population. (The “worst” quartile is the highest quartile for some and the lowest quartile for other sites.) A score of 5 corresponds to a 7-fold increase in mortality risk. This qualifies the Zhang score as one of the most powerful risk indicators that we have (don’t tell Aetna). For comparison, a BMI of 35 qualifies as “obese” and corresponds to a mortality risk ratio of only 1.36. Hemoglobin A1C, and HDL are common indicators of health status in older adults, and all of these have marginal associations with age-adjusted mortality. C-reactive protein and IL6 are blood markers of inflammation, and they were associated with risk ratios of 1.6 and 1.9, respectively [ref]. By this standard, the Zhang score is a big step forward. Methylation is presumed to be under the body’s programmatic control. There are two reasons that methylation might be powerfully associated with mortality. First, some changes in methylation may be an indication of an acute response to some life-threatening stress; second, some changes in methylation may be part of an intrinsic death program associated with age. My guess is that there is some of each going on, but probably more of the former, since (as I said) only 23 of the 58 sites are significantly correlated with age. Another curious fact: the methylation sites associated with smoking provided a better indicator mortality risk than was smoking itself. More about this below. Morgan Levine, working with Horvath at UCLA, developed a second-generation clock last year based on mortality and morbidity data as well as chronological age. The Levine clock was optimized with hindsight, factoring in age-related disease that occurred years after the blood was sampled. Levine and her team worked in two stages. First, they developed a measure they call “phenotypic age” which includes age itself plus 9 modifiers that contribute to mortality risk. Albumin: dissolved proteins in the plasma, including hormones and other signal molecules. Creatinine: this is a waste product cleared by the kidneys, thus a high value suggests kidney malfunction; but it can be confounded by exercise, which raises creatinine. Glucose: blood sugar rises with Type 2 diabetes and loss of insulin sensitivity. C-reactive protein: this is a measure of systemic inflammation. Lymphocyte %: the most common types of white blood cells. Alkaline phosphatase (ALP): this is elevated in liver disease, including cancers and hepatitis. The list surprised me. This was not a popularity contest; it was developed from statistical association with mortality, with no prejudices up front. I was not surprised to see glucose and CRP in the list (though I would have thought they would substitute A1C for glucose, because A1C is more stable, while glucose varies from hour to hour). I would have thought to find HDL and IL-6 in the list, and I was particularly surprised to see the strongest weighting was Red cell distribution width, which I had not heard of. RDW is measured as the standard deviation in volume of individual red blood cells (erythrocytes). It turns out that small red blood cells are a symptom of diabetes, while high RDW scores are associated with cancer and heart disease. There’s a modest association between RDW and Alzheimer’s Dementia. Also curious: total white blood cell count is positively associated with aging diseases, while lymphocytes, a subset of white blood cells, has a negative association. So, what are the white blood cells that are not lymphocytes? These comprise neutrophils, eosinophils, monocytes, and basophils. Large quantities of these are a warning of bad health to come. Neutrophils are the largest category among these, and they are part of the body’s innate defense against cancer and infections. Lymphocytes, on the other hand, comprise natural killer (NK) cells and T- and B-cells. NK cells are part of the innate immune system, while T-and B-cells are part of the adaptive immune system, but all of these are indicative of good health and long life. All these components were put together by Levine et al to form their measure of phenotypic age. The team then went on to stage two, looking for methylation sites that correlate best with their newly-defined measure of phenotypic age. 513 sites were incorporated in their computation (see below). This can be confusing: PhenoAge is the measure derived from the above 9 blood tests + chronological age. DNAm PhenoAge is the methylation clock derived from the PhenoAge blood test. The resulting PhenoAge methylation clock (DNAm PhenoAge) correlates only about 75% with chronological age (compared to 94% for the original Horvath clock). But DNAm PhenoAge predicts mortality and morbidity far better than either chronological age or the original Horvath clock. As you might expect, the methylation clock which was derived from the newly-invented PhenoAge measure does not predict mortality rates as well as PhenoAge itself, from which it was derived. This is expected because the DNAm PhenoAge clock is targeted directly to predict PhenoAge, and only indirectly to predict mortality. I am only making a point of this because the story is different and surprising in the case of the new GrimAge methylation clock–described next week. The first step in producing a clock is to produce a list of individual methylation sites in order of how tightly they correlate with age. If you construct a clock out of the first few, you get the best correlation and the most accurate measure of age. But the measure is fragile, and the accuracy may be illusory. When selecting a few items out of a list of hundreds of thousands, there will usually be accidents and outliers, statistical flukes. By including more sites assures that the overall age measure is not unduly affected by any one site, so if a few of the correlations turn out to be statistical errors, the overall average is still quite good. Horvath has generally chosen to be conservative and sacrifice some accuracy for robustness. 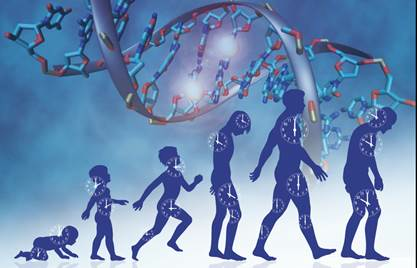 Methylation measurements have provided the most accurate measure of age and prediction of age-related disease, head and shoulders above other measures. But can we do even better if we supplement methylation data with other things we know about a person–not just other blood tests, but life style factors. When I visited Horvath last summer, he introduced me to his post-doc Ake Lu, who was working on a composite clock, based on this thinking: methylation plus. That was the origin of the GrimAge clock. I say “rumors” because there is no publication and results from just 6 rats, all of which were sacrificed for the sake of tissue biopsies. Worse, we have no announcement of what the active agent(s) were that rejuvenated the rats, so discussion of mechanisms will have to wait. I’m writing this largely from personal and scientific trust, while recognizing that even the most careful and honest scientists can deceive themselves. “You are the easiest person to fool,” Feynman warned us. Some of you may recognize the name of Dr Harold Katcher, who is one of the most prolific and best-informed among many well-informed readers commenting on this blog. I’ve known Harold for about 10 years. We came together because we have the same idea about what aging is. The difference is that I have only the evolutionary reasoning, the logical shell. Harold also has the background in biochemistry to fill in the details. Filling in the details is what he has been doing, and this week he convinced me that he has the most promising age-reversal intervention yet devised. His treatment protocol is in preliminary stages of testing, and because the ideas that he and I share are out of the mainstream, it has not been easy for him to get funding. Now that he has preliminary results, perhaps that is about to change. He is committed to bypassing the standard channel of Big Pharma, proceeding on his own with appropriate partners to assure that the the technology gets to a wide public at affordable prices–but it is early to think in these terms. The heretical idea that unites Harold’s thinking and mine is this: Aging is controlled through evolutionarily conserved mechanisms. Some of the same genes and proteins that control the rate of aging in yeast cells serve the same function in mammals, which may live a thousand times longer than yeast. This implies that aging isn’t just random damage to individual cells; rather it is tightly regulated at the systemic level. Maybe there is a central clock, or maybe there is a consensus that is reached body-wide. But in any case, there is communication, assuring that different parts of the body keep to a common schedule. The natural place to look for this communication of the age state of the body is through signal molecules in the blood. Thus our hypothesis, Harold’s and mine, is that even an old body remembers how to be young, if only it gets the message in the appropriate biochemical language. If an old mouse were to have the blood of a young mouse coursing through its veins, the old mouse would become a young mouse. Parabiosis experiments, sewing together mice of different ages so that they share a common blood supply, originated in the 19th century, but they took a leap into the 21st century beginning in the Stanford laboratory of Irv Weissman. His students spread out to Berkeley and Harvard, and the successors to these programs are studying the rejuvenation potential of various blood plasma components. (It’s not the red blood cells or the white blood cells. It’s not any cells at all, but the proteins and RNAs and short peptides that are dissolved in the blood’s clear liquid background, called plasma.) Some of the best-known people working on this idea are Mike and Irina Conboy at Berkeley, Amy Wagers at Harvard, Tony Wyss-Coray at Stanford. Two companies (Ambrosia and Alkahest) have begun selling transfusions of young blood to wealthy old folks, brave or desperate enough to experiment on themselves with untried technology, and to pay for the privilege. Harold doesn’t have the funding or the university infrastructure that these people have, but by his report he has leapfrogged their research. He claims to have isolated the crucial molecules in young blood plasma, and that it is feasible in the not-too-distant future to synthesize them, so we’re not all running like vampires after 20-something men and women, bidding up the price of their blood. So, what were the results that we find so impressive? I’ve linked to his own chart of results, and I’ve asked Harold to tell us in his own words. To tell you the truth, when I first was invited by my partner, Akshay Sanghvi to conduct research at a laboratory in Mumbai (India, formerly ‘Bombay’) I had a very definite idea of what I wanted to do. I wanted to transfer the plasma of a young rat, to replace the plasma of an old rat, which I have called Heterochronic Plasma Exchange (HPE). This idea was originally based on heterochronic parabiosis, which apparently resulted in rejuvenation at the cellular level in mice, but without the bizarre and cruel aspects of sewing two animals together; and yet, it should have more profound effects as 100% of the old animal’s blood could be replaced–while in heterochronic parabiosis, a young rat is half the weight of an old rat, so that the combined plasma circulation in the parabiots is considerably less than 50% young plasma. If it is assumed that there are ‘pro-aging’ factors in the blood plasma of old animals, those factors would remain. By using HPE however, sufficient rounds of plasma replacement should leave the old animal with nearly pure ‘young’ plasma. The greater concentration of youthful factors and the absence aging factors should push the cells and, eventually, the body to youthfulness. Although transfusion technologies for humans are mature and quite safe, transfusing small animals requires state-of-the-art lab techniques. Try as we might, we could not perform plasma exchange in rats. Time was growing short (I was on a two-month visa) so what to do? I made the decision to completely change my approach: yes I believed HPE would work, but I decided to leap ahead, to see if we could make the process of HPE into a marketable product. Our first pass was to try a combination of known herbal supplements that are known to bind with the targets we’d identified. We gave them to rats, and at first nothing seemed to be happening. But after two months (about 4 years in human terms) the rats showed signs of rejuvenation. We were encouraged. Rather than continue with the herbs, though, we formulated the elixir that we report on here. This is our first iteration, with dosage and timing determined theoretically, yet to be optimized in the lab. Removal of the effects of ‘pro-aging-factors’. We have discovered a way to do that, one hidden in plain sight. Here are our results. Notice the striking and simultaneous occurrence of increases in mental speed and physical strength coupled with lower inflammatory markers and blood glucose levels. Also encouraging is that these changes began days after the IV treatment, and the markers that were improved but not quite down to youthful levels continued to improve right up until the day of their sacrifice. It would appear that the changes induced are permanent, but it will take additional experimentation to confirm this. repeating and extending our rat results to include molecular and epigenetic signs of aging (Steve Horvath is developing a methylation clock for rats). and, of course trying the elixir in humans. I am looking ahead to envision an elixir that brings you back to apparent youth in a week and a day with no side effects. Time will tell, but I feel that the results we have at this point justify optimism. I’m full of questions, but Harold tells me these will have to wait until intellectual property is secured. For some interventions, the body is made stronger and levels of tissue growth repair are restored to youthful states, but there is a cost in elevated cancer risk. This is something that will take time to determine, and perhaps working with mice would be better, since they have higher cancer rates than rats. I would guess that a fully youthful phenotype will require restoration of the thymus, which shrinks severely with age both in rats and humans. The current report doesn’t mention thymic regrowth. What would rejuvenation look like in humans? Physical strength and mental acuity are a great start. Would my eye lenses soften to youthful levels? Would I grow new discs between my vertebrae (and regain the 2″ I’ve lost in the last decade)? How about teeth and hair? I’ve read that many blood factors are transient, with a half-life of seconds to minutes. I can imagine long-term effects from epigenetic reprogramming through blood factors, but I’m surprised this could happen without a continuous IV feed. I respect Harold’s caution in protecting his discovery out of the reach of Big Pharma. On the other hand, so many questions are not being addressed because his resources are limited. This is indeed a very promising start, and let’s hope that the appropriate connections come along so that further experiments can proceed without delay.